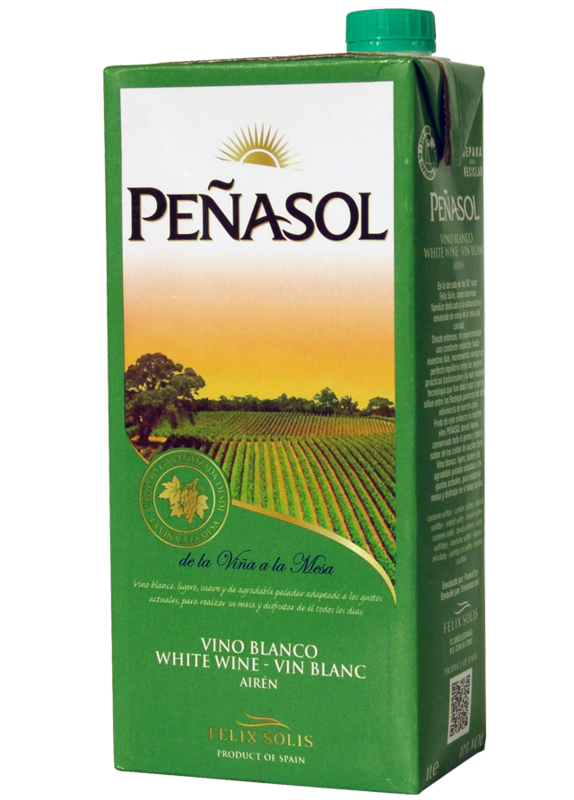 Peñasol White Slim takes its name from the place where it has been elaborated: the sunny Valley of the Rocks, the ancient name of Valdepeñas, by the river Jabalon’s banks. The wine is made from Airen, the indigenous grape from Castilla-La Mancha. Golden straw yellow. Fruity and pleasant palate. The palate has fruity citrus and honeydew melon flavours. Enjoy chilled with roast chicken. Its grapes undergo strict controls on the vineyards to determine the correct moment to be harvested and transformed into a wine with the right amount of sugar and acidity. Fermentation takes place at 14-16º C and the result is a fruity and elegant wine.